Do you struggle with saving enough energy in your home? The Lutron Occupancy Sensor might be able to fix that problem. If you have children or tend to be forgetful, it’s all too easy to leave the lights on in an empty room. However, those usage hours can quickly add up to a lot of wasted energy that winds up harming your power bill and the environment. 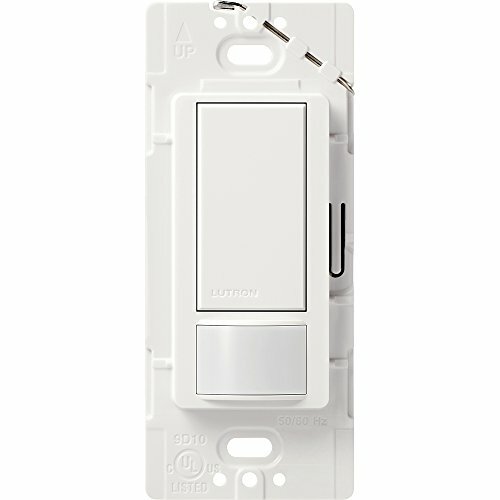 A light sensor switch like the Lutron Occupancy Sensor can help. You’ll no longer have to feel frustrated when you come home to find the lights blaring, and your energy bills will go down. But after learning everything you can about the occupancy sensor, you will need to make a decision that’s right for you and your family. Is the investment really worth it? Electronic occupancy sensors use a combination of a motion detector, light, and timer to make household lights automatically go on and off. You can wire your occupancy sensor straight into the wall, and choose between an occupancy sensor switch, a vacancy sensor switch, or a dimmer. 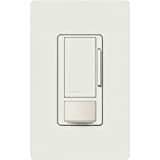 You won’t need any new wiring, so you can easily retrofit the Lutron motion sensor to your existing light switches. The sensor detects motion and keeps the light on while people are in the room, but it will turn itself off if it doesn’t detect movement for a set period. 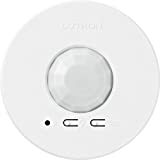 You can adjust a number of the motion detector switch features to meet your needs. For example, you can turn the sensitivity up or down, and program the right amount of response time before the lights go off. These sensors are easy to install — it takes about 15 minutes, and you don’t need many tools. However, if electrical work makes you nervous, an electrical contractor can easily install your motion detector switch for you. To choose between occupancy and vacancy sensor features, just use the button commands to program the light sensor switch. Occupancy sensors detect people in the room and automatically turn the lights on for them. On the other hand, when the room has been empty for a set period of time (such as five minutes), the sensor will also turn them off. Vacancy sensors let you manually turn the light on, but will automatically turn it off if it doesn’t detect any motion. 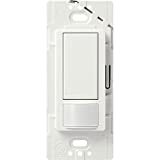 The Lutron motion light switch is set to be an occupancy sensor by default, but you can program it to the other one if you prefer. You can also use a number of other customizable features. It’s up to you how long the lights stay on after people leave a room, how sensitive the sensors are, and how bright the light is (if you have a dimmer). Here are the top ways to use the variety of sensors and switches Lutron offers. The Lutron sensor is available at several big-box hardware stores, but it retails for less on Amazon. 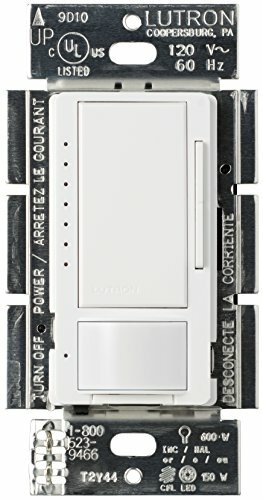 You can find a sensor switch on Amazon for about $17.99, or buy a package that includes decorative wall plates for a little bit more. Using a motion detector light switch has some pros and cons, you will have to look at them and determine whether the benefits and drawbacks of using one is right for you. Should You Choose the Lutron Occupancy Sensor? Not all homes need a motion detector light switch. If you’re great about turning off your lights and saving energy, the Lutron sensor isn’t for you. But if you do think an occupancy sensor is right for your home, Lutron’s model is one of the best. It’s easy to install on your own, doesn’t cost too much, and does a reliable job with plenty of customization options. It’s also visually attractive, with a minimalist look that won’t disrupt your decor. Perhaps best of all, these sensors reduce your energy bill every month, so they’ll quickly pay for themselves. Do you think an occupancy sensor would help out in your home? Leave a comment and let us know!